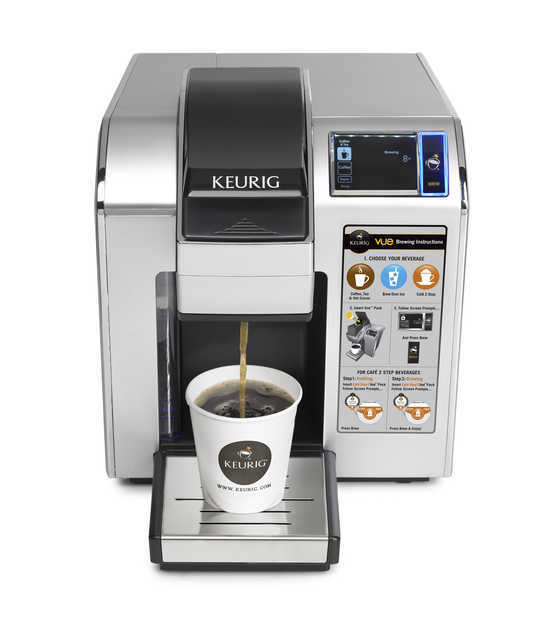 Green Mountain Coffee Roasters Inc. is bringing smart technology to small office brewers with launch of its Keurig Vue brewing system with RFID technology. The single cup brewing system is designed with the ability to brew stronger, bigger, and hotter, and now smarter with RFID technology. The new Vue V1200 incorporates RFID technology to the beverage packs to simplify and enhance the brewing experience. The intuitive “My Brew” technology guides users who might not be familiar with the Keurig single cup brewing system to get it right the first time by enabling the brewer to default to optimum settings for the chosen beverage based on an embedded RFID recipe tag. Together with the Custom Brew Technology feature users can adjusts water pressure, timing and airflow to have more control over the strength, size and temperature of their beverages.